Yantian is best known for its seaside. Many people come to Yantian to vacation, and escape the hustle and bustle of the city. The town of Dameisha has two popular beaches—Dameisha and Xiaomeisha—some good hotels and resorts. There are also many fine eateries by the seaside and farther inland. 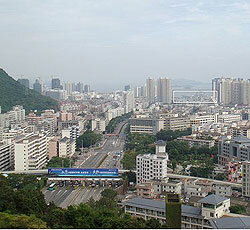 Yantian is a 75-square-kilometre-wide border district with a natural harbour. Its port handles national and international cargo. Yantian is within the Special Economic Zone, and foreign investment is allowed here.